When clashing swords with an enemy, the arms are particularly vulnerable to attack. Protect them with the Quintus Leather Bracers to ensure victory. 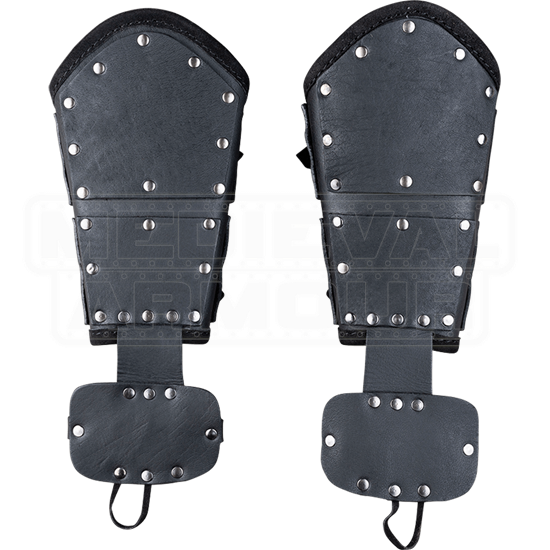 Coming in two colors of premium leather, these leather bracers not only protect the arms but also the hands as well. 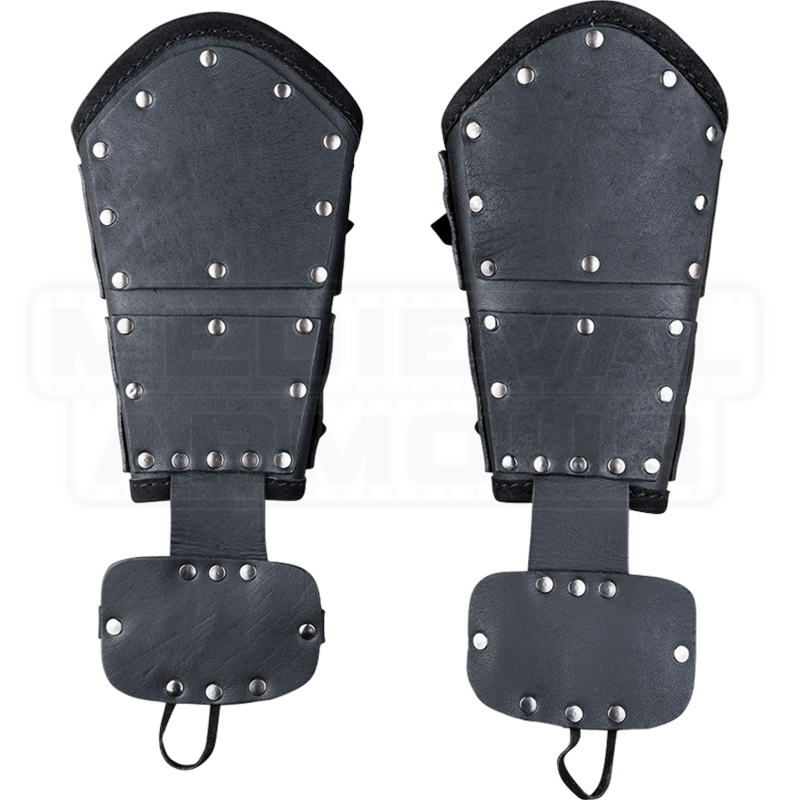 They attach with straps and buckles on the lower arm and have a non-adjustable hand strap to hold them in place. Additionally, there is a finger loop to help secure it in place. Coming as a set of two, the bracers are designed to fit the look of other pieces of Quintus armour but work well with other looks. Silver tone rivets hold the 7/8 ounce leather plates in place. A well-prepared foot soldier can wear these at a faire, LARP event, or convention.